A person performs best when comfortable. That’s where Bryant Lincoln comes in. Our experienced service technicians provide around-the-clock cooling repair, to keep your business, employees and customers comfortable. We do whatever it takes whenever you call. Any time of day or night, any day of the year, our NATE certified technicians provide efficient, prompt solutions to cooling malfunctions. When comfort is at stake you need Bryant Lincoln. Have confidence that your cooling system is properly maintained and ready for the heat. 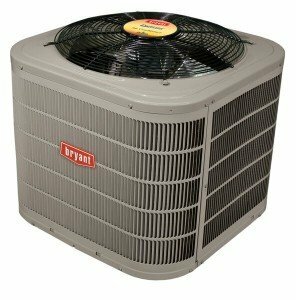 Bryant offers commercial maintenance/service plans offering complete servicing of a business’ heating and cooling systems tailored to your individual needs. Interested? Call Bryant at 402-470-8162 for more information and details. Our goal at Bryant Lincoln is to provide you with the best possible customer experience offering experienced and reliable service. When your air conditioning fails turn to the company Lincoln has trusted for over 65 years. Call Bryant Lincoln.